During the 1970s and ’80s, independent community media and various youth movements across Europe inspired and abetted each other. Young activists across the continent discovered the videotape as a medium and as means to express their concerns and document and share their protests. The easily produced moving images in videos also became a weapon in the political and communication fights for the autonomous culture spaces the movement demanded in many countries. Videos were participative productions, created almost in real time, with unprecedented agility and speed. This appropriation of video technology as means of two-way communication between sender and recipient also proved a key step towards the digital age. Today, consumers, citizens, and professionals not only receive moving images and audio documents, but they can also easily create—and, crucially, broadcast—their own. With far fewer tools at hand, the young activist-directors of the 1970s and 1980s went beyond dreaming of such a development: they managed to create it through small, committed networks of activists. 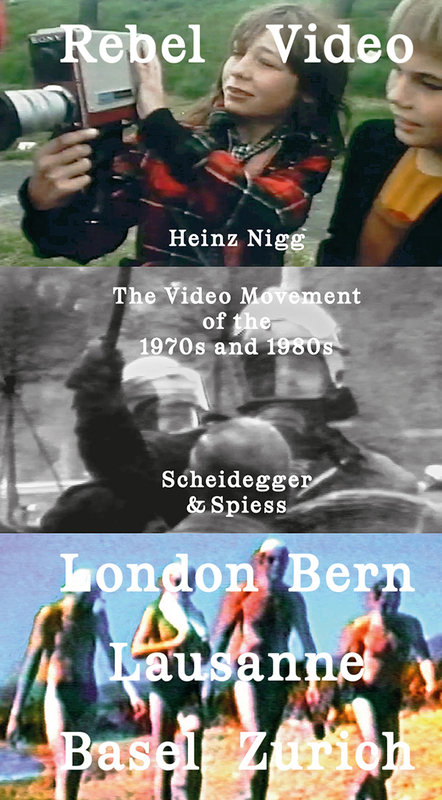 Rebel Video portrays protagonists of this activist movement in London, Basel, Berne, Lausanne, and Zurich. It documents the topics and concerns these creative rowdies picked up and the lasting effect their work has until today. Richly illustrated and fleshed out with brief essays by expert authors on specific aspects of film documentary and video art, the book demonstrates and illuminates the significance and manifold facets of the community media movement.